A quick view of the most influential metrics in Cardiff-by-the-Sea. Cardiff-by-the-Sea also known simply as Cardiff is a gorgeous beach community in the city of Encinitas, California. The Comunity is In the southern part of San Diego County running along the border of Solana Beach the community has its own ZIP code and is home to well-known surfing locations like Cardiff Ree, Pipes and Swami's. Cardiff Reef produces both novice and professional level waves for surfing. Cardiff is known for its smooth and consistent waves and a flat rock reef that extends for 50 yards and at low tide provides countless tidal pools for visitors to explore. The first true settler in the area was a farmer named Hector MacKinnon who began cultivating the land back in 1875 and was the only farmer between San Diego and Oceanside. Modern developments in the area didn't begin until the arrival of J. Frank Cullen in 1911. Cullen founded the community in the same year christening a large section of land with the name Cardiff after Cardiff, Wales. Streets were subsequently named after British locations. Cullen had a vision of a seaside playground and he built a hotel over-looking a bluff as well as a bath house and long ocean pier. To this day Cardiff has kept that quaint charm and playfulness that Cullen originally envisioned. In 2007, the population was estimated at 11,537 residents. The city of Encinitas is governed by a five-member city council. Each council member has a four-year term and elections are staggered at two year intervals. The community has two schools Cardiff Elementary and Ada Harris Elementary. 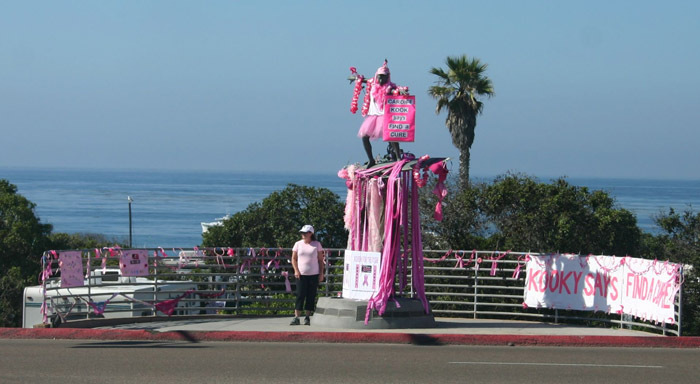 The city also has a unique statue that is named Magic Carpet Ride, but is better known as the Cardiff Kook, it is a statue of a surfer mounted on a granite pedestal that stands beside the Pacific Coast Highway. The statue has been at the heart of some controversy because some viewers see it as a parody of the iconic California sport of surfing. Ocean views and beautiful beaches are a way of life in Cardiff-by-the-Sea, local favorite surfing spots that include beaches and oceanside campgrounds include the Pipes, San Elijo, Cardiff Reef and George's at the mouth of San Elijo Lagoon River. Homes for sale range from small starter homes up through elegant luxury beach front properties. Other real estate options include apartments of varied sizes and styles for rent and condominiums and town houses for sale or lease. Whether you are looking for the perfect vacation home or a year round residence Cardiff-by-the-Sea has what you need. View our selection of available properties in the Cardiff-by-the-Sea area. Check out the latest demographic information available for Cardiff-by-the-Sea. Learn more about schools near Cardiff-by-the-Sea complete with ratings and contact information. Browse through the top rated businesses in the most popular categories Cardiff-by-the-Sea has to offer.